On Saturday night, Yahoo Movies hosted an exclusive Q&A with the the cast and creators of Into the Woods, including Meryl Streep, Emily Blunt, James Corden, Anna Kendrick, Chris Pine, Tracey Ullman, Christine Baranski, screenwriter James Lapine, and director Rob Marshall. You can check out our video of the interview above, and see the movie when it opens Dec. 25. If the promotion on “Into the Woods” remains this extensive until its release, it’s going to be a busy November/December. Today, the B-Roll for the film has been released, including lots of footage from the making of the film and its recording sessions. 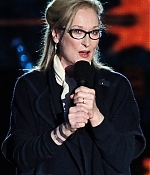 Then, a lenghty 13 minutes interview with Meryl, in which she talks about her role, the musical and her cast members. And finally, a first clip (of a scene that was teased yesterday on Entertainment Tonight) can be watched, featuring the Baker (James Corden), his wife (Emily Blunt) and Meryl’s witch, hitting all the right funny notes (Cow’s gone, get it back!). Enjoy the new clips. 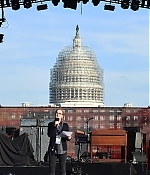 The nearly three hour event, titled “The Concert For Valor,” emanated live from the National Mall in Washington, D.C. on Tuesday. While HBO created and produced the show, it could also be streamed on Twitter, and heard via iHeartRadio or through the American Forces Network. 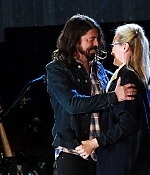 The voluminous musical performances snaked around tributes to specific veterans from stars like Jack Black, Bryan Cranston, Meryl Streep, George Lopez, and Jamie Foxx. Other salutes came via satellite from President Obama, Stephen Spielberg, Tom Hanks, and Oprah Winfrey. 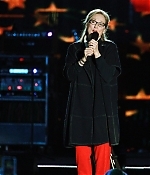 A video clip of Meryl’s segment, as well as pictures from the concert, have been added to the archives. Here comes a great find from the past. 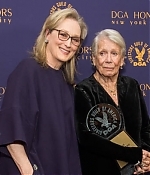 One of the first organizations that Meryl Streep publicly supported was Dr. Helen Calidcott’s Women’s Actions for Nuclear Disarmament. In 1981, Meryl narrated the documentary “Eight Minutes to Midnight” about Caldicott’s crusade against nuclear power. 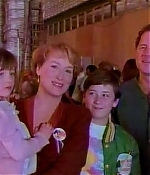 And in 1983, Meryl taped a television public service announcement for WAND to raise awarenes of their actions for Nuclear Disarmament in the wake of the ABC television film “The Day After”. You can now watch the PSA in the video archive. Check out the first featurette for “Into the Woods” to get a taste of snippets from the prologue, Meryl Streep’s “Stay With Me” and more! Also look out for James Lapine, Stephen Sondheim and Rob Marshall gushing about the cast, and the cast gushing about Lapine, Sondheim and Marshall. There’s a lot of love. Cast interview include Meryl Streep, Johnny Depp, Chris Pine, James Corden and Emily Blunt. The featurette features lots of new scenes and more insight into the characters, including Johnny Depp’s Wolf, Rapunzel and, of course, the Witch. 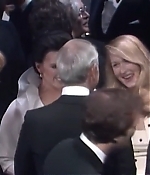 Once again, I’ve digged deep down the archives to bring some rare finds to Simply Streep. The highlight of this post is probably Meryl’s first television interview in 1979 to promote “Kramer vs. Kramer”. Bits from this interview were featured on the Today Show, now a seven-minute version has been added to the video archive. Also new is footage from the Mann’s Chinese Theatre Handprints ceremony, the premieres for “The River Wild” and “The Bridges of Madison County” and a newly discovered press junket interview for “Music of the Heart”. Click the previews for all new clips and scroll down for screencaptures. Lots of additional screencaptures have been added as well. 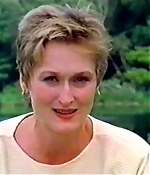 There are better quality captures from the 1979 and 1980 Academy Awards, Meryl’s television appearances on “Race to Save the Planet” and “Voices that Care” as well as numerous television interviews she did in the 1990s. Once again, have a look below for a complete list. Enjoy the new additions. Additional pictures from the press conference and premiere for “The Giver” have been added, alongside three new clips. There’s a compilation of recent television spots, a special tv spot featuring an interview with Meryl as well as the full New York press conference. Enjoy the new clips.